Often in the press is the much-debated subject of when it's ok to leave your children home alone. It's always a difficult question, because children mature at different rates and there are a variety of different circumstances in which you could leave your child. For example; popping next door to borrow something, is a world away from going out for the day, or even over night. On one occasion a father was convicted (overturned on appeal) of willfully exposing his daughter to risk of harm. He spent five minutes in a chemist buying Calpol, while she sat, in his eyeline, in the car outside. On hearing the evidence, the appeal judge was quoted as saying 'This is supposed to be a crime?' Yet, in theory at least, something could have happened to that child. It's highly unlikely, and, equally, something could go wrong if she was supervised, but it could happen. So, who is right? And, in light of some of the more stringent applications of the current guidelines, is it time to finally introduce a law to protect parents, as well as children? There is no law, at the time of writing this, that covers what age children can be left unsupervised and this is a constant source of bemusement to me. Of all the laws we are meant to abide by in this country, surely our children's safety is the most important? There are laws governing car parking, dog poo, watching television, even whether we can read about a well-known celebrity's infidelity, but this important area of children's safety has been thus far overlooked. Currently, the law states that children should not be left; "in a manner likely to cause (them) unnecessary suffering or injury to health." Which is incredibly vague, because I can't imagine parents ever leave their children alone in the knowledge that they could end up getting hurt, but the difficulty is assessing the risks of something going wrong and how that child would cope. BBC breakfast quoted a figure in excess of 500 parents arrested for leaving children unattended in England and Wales in the year 2014/2015. The circumstances for which these arrests took place were vastly different and involved youngsters aged from a few weeks up to 15 years old. The biggest problem with this is that the law, as it stands, is open to interpretation. It's all based on how responsible the individual child is perceived to be. Not just by the parents, but also by the police, should anything go wrong. The officer attending, whether it's about a report from a member of the public, or because of an incident, will use their own judgement as to whether they feel the child is mature enough to be left alone. The Crown Prosecution Service will bring charges based on various circumstances, such as; the age of the child, how long they were left for and the suitability of the environment they were left in. So, what does that actually mean? Let's face it, an accident can happen anywhere, to anyone, and there's also outside influences to consider, like a knock at the door from a stranger, that can put children at risk. So, you leave a child on their own many times and they are absolutely fine, but then something happens; they hurt themselves, or there's a powercut, or something scares them and suddenly you could find yourself in big trouble, if outside agencies become involved in your absence. Which isn't fair. Yes, obviously, it's wrong to leave babies and toddlers alone in the house at all and no child should be left unattended overnight, but if you can be prosecuted for doing something wrong, it's only reasonable to know how to do it right. There needs to be a law, or, at the very least, much more specific guidelines, in order for parents to make the right choices. It's often said that children don't come with instructions, but this is one of those situations where they really should. interesting to see peoples views. would you leave your son? It definitely depends on a child's maturity, I was left at home from a young age because I was very mature and travelling to London by myself at the age of 13! There are so many factors here that surely it is something that is almost impossible to legislate for? So much depends on the child, the place, the time and the timespan. I'd like to think that the majority of parents have the common sense to be able to know their child and make a judgement. 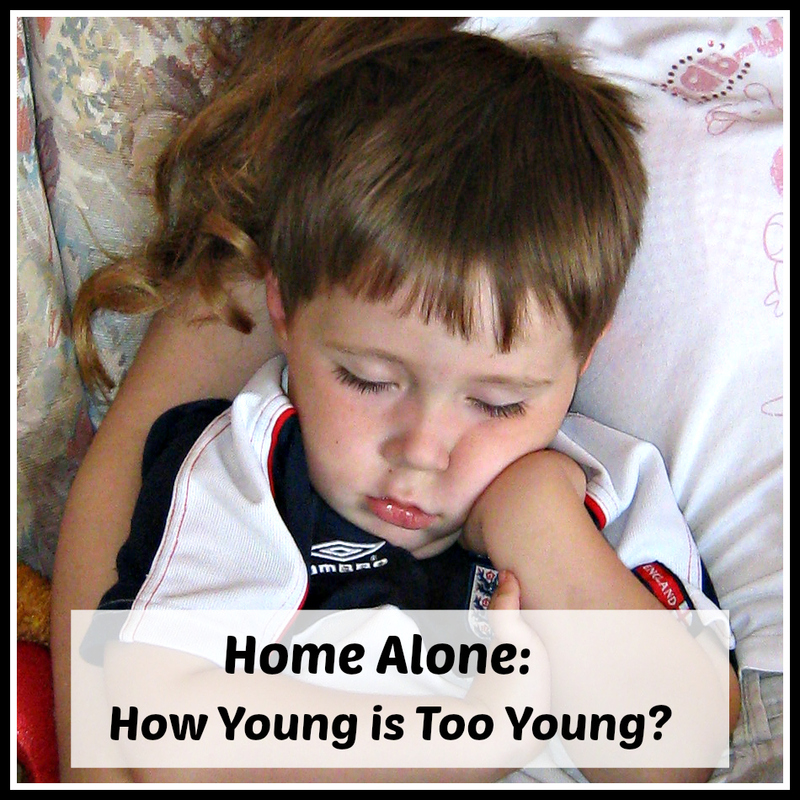 Personally, I don't think any age under 10 is safe to leave at home. Just my view, when I babysat my sister's children, I would never leave them at home even if I was just to go out for a minute. It's very strange that there's no law against leaving children of a certain age alone isn't it? I think I was 11 before my mother left me alone in the house by myself. My cousin is now 14 and his parents still don't leave him alone on his own in the house. 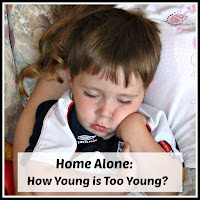 I think it depends on too many factors to put an age on it and hope that parents would be sensible enough to know whether their children are old enough to be left alone. The same goes for going out, travelling to other cities etc alone.